Whether you have a minor plumbing or heating repair or are considering a large-scale kitchen or bathroom renovation project, the right contractor can make all the difference. 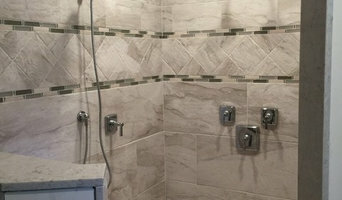 Marchesi Plumbing, Heating, and Bath Remodeling, located in Mercer County, NJ, was established in 1983 with the goal of providing the type of plumbing service long forgotten. We take pride in our work and value our customers. Offering residents’ in Hamilton, Princeton, Lawrenceville and the greater Mercer County, NJ area prompt, reliable, service at competitive prices, we gladly return your calls within 24 hours. We are a company you can trust to do your job right the first time and we pride ourselves on the long list of satisfied consumers who have come to rely on the professional service we provide. 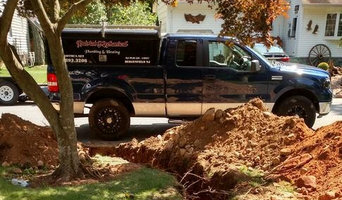 Fully licensed and insured, Marchesi Plumbing provides services in Mercer and Bucks counties as well as parts of Burlington, Hunterdon, and Monmouth counties. As a customer of Marchesi Plumbing, Heating and Bath Remodeling you have access to our complete capabilities, including experienced technicians, administrative support, dispatched service trucks, emergency product inventory, and follow-up service. Whether you are a homeowner who has gotten in over your head with a plumbing project or a property manager looking for a licensed contractor to handle the needs or your clients, give us a call – we look forward to helping you. 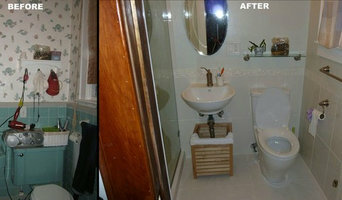 Citywide plumbing and heating corp.
Plumbers NYC are available 24/7 for all your plumbing needs. Known for quality, professional NYC plumbers and superior work. 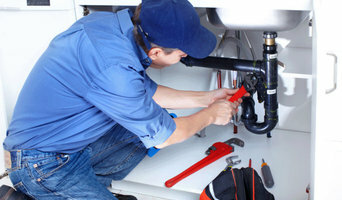 We offer prompt expert plumbing service from our Plumbers in NYC for your home or business, with available same day and emergency plumbing repairs. Charles Krull & Son, Inc.
Charles Krull & Son, Inc. is family owned and operated and has been servicing the local community for 107 years. We take great pride in providing our customers with the highest quality plumbing, drain cleaning and heating services. Our professional and courteous staff are here to help you with the many home improvement investments you need to make. Whatever your needs, whether residential or commercial, our team of certified professionals can handle the job. With over ten decades in the business, we’ve seen and done it all and our experienced technicians handle projects both large and small. Whether you want to upgrade your kitchen, install radiant heat, add a new bathroom, replace a water heater, tune up your boiler or simply fix a faucet we can help you make it happen and get the job done right. For more than 100 years, our company has provided top-notch work and exceptional customer services. The technicians that arrive at your home or business are the most competent in the industry. Each plumber is fully trained to address any issue from inspection to repair to installation. We also work hard to improve ourselves in the trade. That’s why we regularly offer training sessions for our staff so that they remain up to date on the latest advancements and products in the industry. When you require a technician from our company, you can trust that you’ll receive only the best. When our technicians enter your home they treat it as if it were their own. They are neat, clean and professional. They wear shoe covers and protect your floor with clean drop cloths. They also make sure to clean up on their way out. They are courteous, knowledgeable, and focused on achieving your goals. Charles Krull & Son, Inc….we Respect your Time, we Respect your Home, we have the Best Team and we Offer the Best Guarantees. Call us at 516-599-1222 to Learn More! Full service plumbing, heating & air conditioning company with over 30 years of experience. Fully trained and insured. Wann brauche ich einen Klempner in Richmond County, NY? Die einfache Antwort wäre: wenn Sie merken, dass Wasserhahn und Waschbecken tropfen oder die Gasheizungsanlage nicht mehr einwandfrei funktioniert. In schlimmeren Fällen, etwa Rohrbrüchen oder Heizungsstörungen im Winter gibt es Sanitär-und Heizungsnotdienste, die rund um die Uhr erreichbar sind. Aber auch bei der Schimmelbeseitigung im Bad, sind Sie bei einem Klempner an der richtigen Adresse. 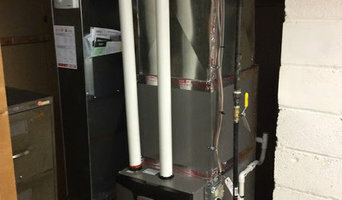 Bei einem Neubau oder der Renovierung wird ein Gas-/Wasserinstallateur in Richmond County, NY zur Installation der sanitären Anlagen eingesetzt. Dazu müssen Verlegepläne erstellt, Rohre verlegt, Teile zugeschnitten, Lüfter und Armaturen eingebaut werden. Auch die Wartung und Reparatur von Sanitäranlagen oder das Auswechseln von Dichtungen und Armaturen gehört zu den typischen Aufgaben eines Klempners. Seit 2003 gibt es in Deutschland den Beruf des'Anlagenmechaniker für Sanitär-, Heizungs- und Klimatechnik'. Darunter versteht man Installateure, die sich auf die Wärme-, Klima-, Wasser- und Gastechnik sowie Umwelt- oder Anlagentechnik spezialisiert haben. Ein Anlagenmechaniker übernimmt Aufgaben in der Heizungs-, Sanitär- und Klimatechnik im Zuge eines Neubaus oder einer Sanierung, Modernisierung oder Renovierung. Gibt es eine unverbindliche Angebotserstellung? Wie hoch ist der Stundensatz und die Anfahrtskosten? Gibt es einen unverbindlichen Kostenvoranschlag vor Beginn der Arbeiten? Wer übernimmt die Klärung der Kostenübernahme im Einzelfall? Führen Sie eine regelmäßige Heizungswartung durch? Gibt es Referenzobjekte für Ihre Arbeit? Klempner in Richmond County, NY finden bei Houzz. Verfeinern Sie Ihre Suche auf der Experten-Seite gezielt nach Einträgen von Gas-Wasserinstallateure. Durchstöbern Sie die verschiedenen Profile und merken Sie sich Bilder von Klempnerarbeiten, die Ihrem eigenen Projekt ähneln. Lesen Sie Bewertungen anderer Kunden, bevor Sie einen Installateur kontaktieren, um weitere Infos zu Ihrem Auftrag zu erhalten.